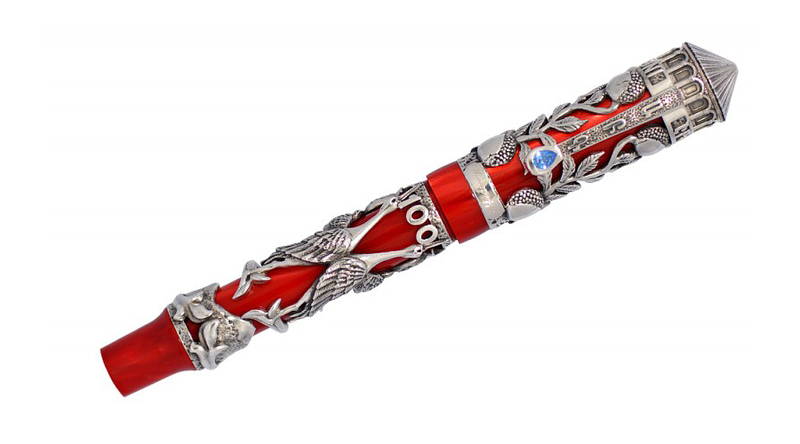 Crafted in collaboration with a group of Armenian artists, entrepreneurs, and clergy members, the new Montegrappa Erebouni series of writing instruments pays tribute to Armenia, the storied nation straddling Europe and Asia between the Black and Caspian seas. 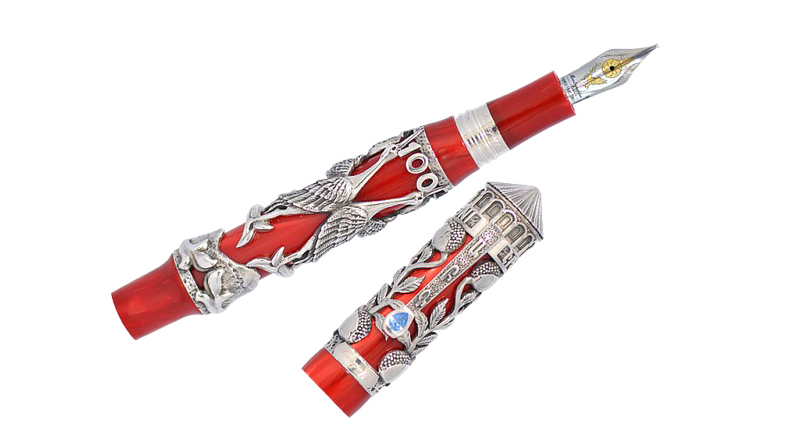 Carrying the ancient name of Armenia’s capital city of Yerevan, the collection comprises three versions: the top-shelf Hokevor, the limited-edition Haverj, and the standard-edition Kragan. 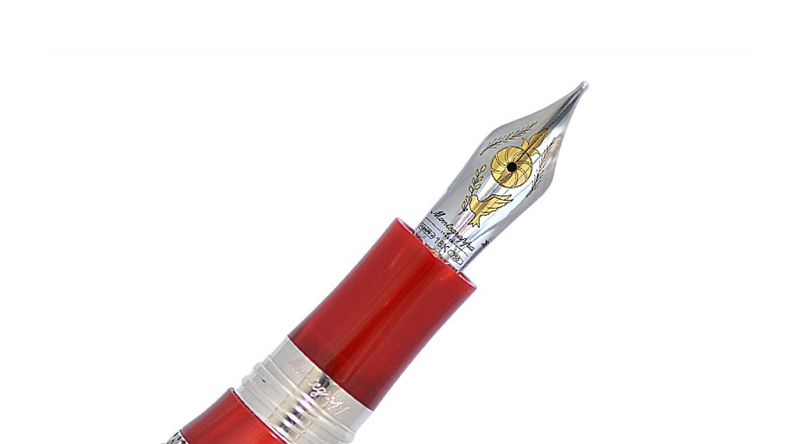 The Erebouni collection is heavily driven by symbols that recall the country’s heritage and history, especially the Hokevor and Haverj pens because they feature intricate die-cast metalwork depicting the 17th-century Zevartnots church on the cap, a reference to Armenia as the first Christian nation; pomegranates on the barrel and cap, a cultural representation for life; the Eternal Flame of Yerevan’s Dzidzernagapert memorial, lit in memory of the estimated 1.5 million victims of the Armenian Genocide; and a teardrop-shaped blue cubic zirconia by Swarovski on the clip, symbolizing both grief and hope. 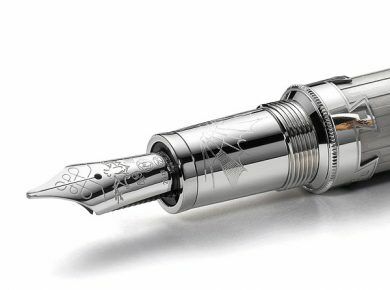 Ranging in price from $5,699 to $53,000, the Hokevor series is available in three versions – vermeil, sterling silver, and solid gold (made to order) – each of which is limited to just 100 pieces. 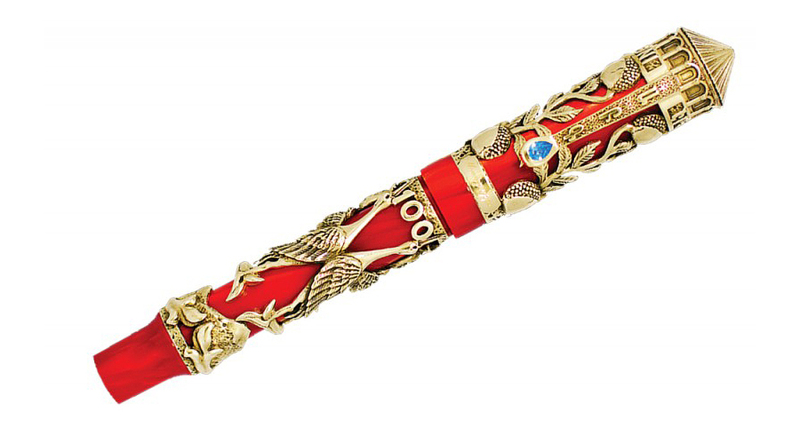 The Haverj pens range in price from $1,750 for a sterling-silver roller ball to $2,350 for a gold-plated fountain pen, with each style limited to just 1,915 – a respectful nod to the date of the Armenian Genocide. 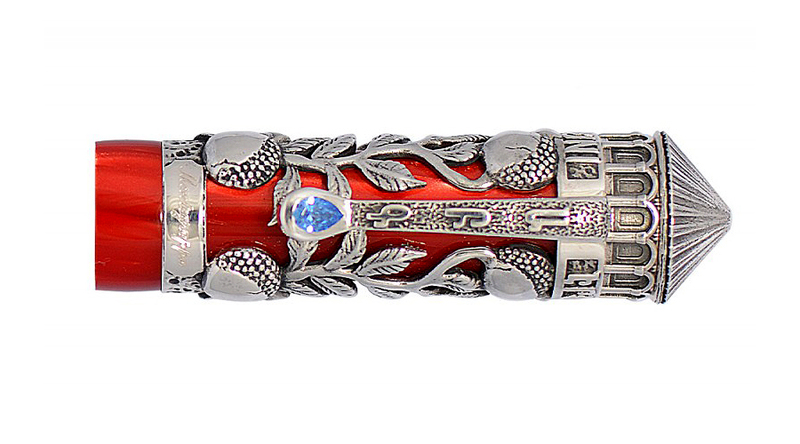 The Kragan pens are special illustrated editions of the classic Montegrappa Fortuna and are priced from $790 for a yellow-gold ballpoint to $820 for a rose-gold roller ball.